Printing Business Stationery & much more! Welcome to Stationery Direct; we are a UK Printer and provide a wide range of quality printed products. 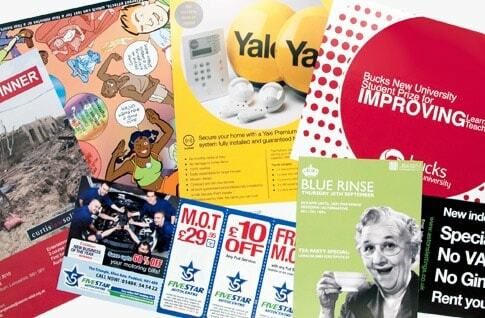 We specialise in printing Business Stationery such as Business Cards, Letterheads and Compliment Slips, as well as Promotional products such as Leaflets, Flyers, Mousemats & more! We pride ourselves on offering high quality printing at affordable prices with excellent customer service. We offer free UK delivery and will always go the extra mile to ensure you are satisfied with your order. That's right! We offer free mainland UK delivery as standard on all orders, with no minimum order value. Most of our items are delivered within 3–5 working days (please check with us if you have an important deadline) and you can rest assured that your print order will be well packaged and ready to use when it arrives! At Stationery Direct we really value feedback from our customers. With each order you are welcome to leave a review on Trustpilot; an independent review website. If you would like to read some of our reviews then please take a look at our page, we are proud to be rated 5 stars! We want you to be satisfied with your order every time. Having traded online since 2005 you can be certain of our expertise in providing high quality printed products for you or your business. We are a Litho Printer, which is well known in the industry for being the best quality printing method. In addition to our range of products, we can also produce bespoke items; maybe you're after something a little different? Just get in touch to discuss your requirements. There are a number of ways you can keep up to date with our latest offers, competitions and news. We can be found on the popular social networking sites; Twitter, Facebook and we have an interesting Blog which we update regularly.